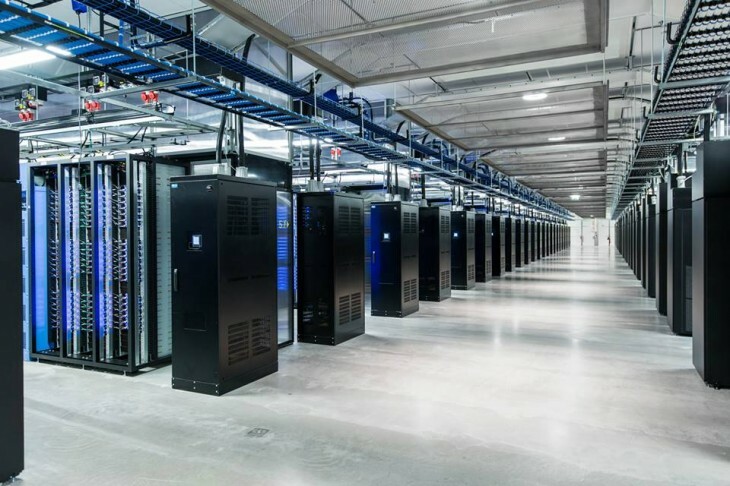 Facebook today announced it has opened up its newest data center in Luleå, Sweden, a small town at the northern tip of the Baltic Sea, which is just 100km south of the Arctic Circle. This is the company’s first data center outside the US, and one of the largest of its kind in Europe. Facebook chose Luleå for at least three big reasons. First, it’s a prime location to take advantage of outside cooling: the temperature has not been above 30°C (86°F) for more than 24 hours since 1961 and the average temperature is around 2°C (36°F). Next, dams on the Luleå river generate so much renewable electricity that half can be exported. Lastly, Sweden has a dense fiber-optic network, so data can flow reliably to the rest of Europe, and beyond. All the equipment inside is powered by locally generated hydro-electric energy. Not only is it 100% renewable, but the supply is also so reliable that we have been able to reduce the number of backup generators required at the site by more than 70 percent. In addition to harnessing the power of water, we are using the chilly Nordic air to cool the thousands of servers that store your photos, videos, comments, and Likes. Any excess heat that is produced is used to keep our office warm. Nearly all the technology in the facility is based on Open Compute Project (OCP) designs. OCP is a Facebook-founded initiative that sees the company and its partners commit to developing and sharing designs for data center infrastructure — everything from the servers and their racks to the cooling systems and power supplies. This is the company’s third data center after Prineville, Oregon and Forest City, North Carolina. Facebook already has plans for a fourth one in Altoona, Iowa, slated to start serving user traffic in 2014.